Summer Escapes Round Plastic Wading Pool 7.9 in. H x 45 in. Dia. Diamond Crystal Splash Ready Pool Salt 40 lb. Intex Easy Set 639 gal. Round Above Ground Pool 30 in. H x 8 ft. Dia. hth Super Chlorinating Chemicals - 2 Sanitize 35 lb. hth Ultimate Mineral Brilliance Chlorinating Chemicals 18 lb. hth Chlorinating Chemicals 1 gal. hth Green to Blue Super Shock System 7.2 lb. Intex Ocean Coral Reef Snapset Pool 72 in. Dia. hth Super Shock 6 lb. When the weather heats up, stay cool and have fun in the sun with a swimming pool from Ace. We have an assortment of pool games, pool floats and other pool toys you can use to stay comfortable all summer long. 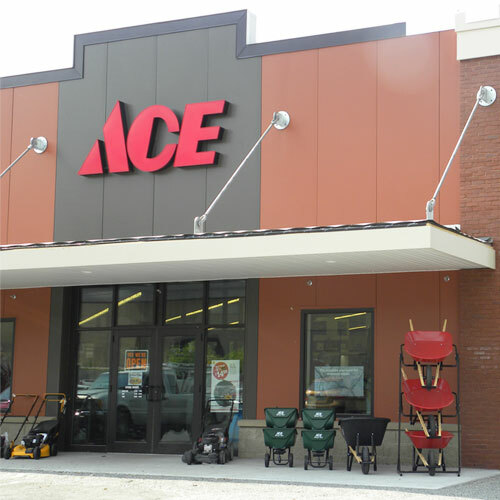 Shop Ace Hardware to find swimming pools and pool accessories to fit your needs. Use the search tool to sort by brand, price, top-selling products and more. Every kid dreams of having a swimming pool in their backyard. Luckily, there are simple and affordable ways to set up a pool in your yard this season. Look for small inflatable pools for young children. Opt for a plastic pool for quick setup for younger children. These pools can help them stay cool and have fun and are easy to fill and clean. Just use your garden hose and you'll have a play area for your kids in no time. Step up to a larger inflatable pool with a built-in pump system for the whole family. These pools are often between 8 and 10 feet in size, making them comfortable for three to five people to enjoy at once. Helpful Hint: If you do opt for a larger inflatable pool, make sure you add the right pool treatment chemicals to keep it clean, sparkly and inviting all season long. From chemicals like chlorine tabs to maintenance equipment like pool rakes, brushes and poles, we offer a wide selection of cleaners and treatments for pools of any size. Time spent in the pool can keep you cool in the summer, but without fun pool toys, the kids are bound to get bored. Shop Ace to find the right pool toys and accessories for your family. Add pool noodles to playtime. Part floaty and part toy, no summer afternoon in the water is complete without multi-colored pool noodles. Grab a squirt gun or two for fun sneak attacks in the pool.Look for a floating lounge chair or raft to help you relax in a larger pool. Pick up floaties and flippers for young kids to keep them safe. Summer fun just isn't the same without a pool. Shop Ace Hardware to find above ground swimming pools and all of the pool toys you'll need to splash around all day long. While you're here, don't forget to pick up cleaning supplies and chemical treatments to keep your pools sanitary, even when they're not in use.